Time to start preparing those parties! With the 2019 graduation season is here, it is time to start preparing. The spring is a popular time for milestone events such as communions, weddings, wedding showers and more. The day a student graduates is one of those special moments as well. 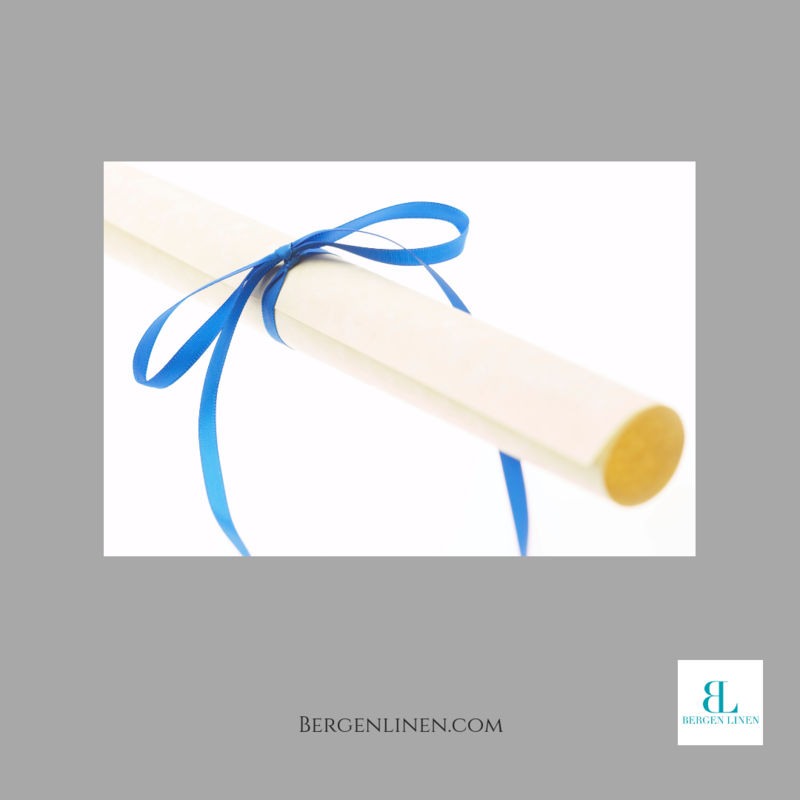 Whether you are a venue or hosting a party yourself, Bergen Linen is here for your graduation party needs. High school graduation? You may wish to use the high school’s colors – or their college choice. College graduation? The college colors are a solid option. However, anything goes! Also consider, the student’s favorite color(s), matching the venue space, trending shades, etc. Yes, that’s a lot to choose from! That’s why you have us. Call a Bergen Linen team member at (800) 789-8115 and ask to hear about our selection. If emailing is easier, you may email us directly at info@bergenlinen.com.